A few months ago, I received the following message from one of my Algebra students: Dr. Zeidan, what I most enjoyed about the class, is how you brought me through it, it meant so very much to me. You are so kind, I could hear it in your voice, even when I was so "up in the air " with worry. Thank-you for that. You encouraged me. God, and you took my hand, and led me through it. Never does He forsake us, and He is so totally present when we ask for help. Truly, I tell you that is indeed what happened. Blessings to you. As I was reading this message, not only did I appreciate the time the student took to reflect on her learning experience, but I personally was influenced by her positive/motivational feedback, and I was inspired to develop more ways to motivate my students week after week. 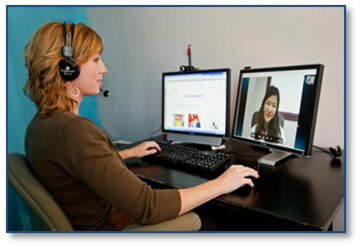 "...motivational communication with students in science and math classes is highly encouraged and can play a major role in fostering an effective online learning model"
As I began teaching science and math in a distant setting, I was intrigued by the challenge of instructor presence in online classes, because I had received my own education in a traditional setting. I was using numerous interactive resources to deliver content; however, my digital interactions with non-traditional students was an area that could use some development. During the accelerated eight-week courses, I recognized the great need for alleviating the fear that our students experience, especially when it comes to science and math, in a distant-learning environment. Our adult learners return to pursue higher education with a culturally different perspective and different needs from fresh high school graduates. Our online asynchronous classes provide the student with a flexible learning schedule, tailored to facilitate the learning process for working professionals. The adult student frequently expresses concern about grasping algebra concepts after being out of school for a long time (Rachel & David, 2017). As a result, one of the challenges hindering performance and student ability to stay on task in an eight-week class is anxiety from the subject matter (Chang, 2018). However, students’ fear and anxiety can be handled and managed through mentorship and a strategy of praise and encouragement. I was already practicing encouraging communication as a way to check in with my students, but it was a revelation to me that it can also greatly impact student performance and lower anxiety. The strategy has shown its effectiveness in student performance in both my math and science classes. Our academic efforts are continuously advancing distant teaching by enhancing our content delivery methods. While this is essential, motivational communication with students in science and math classes is highly encouraged and can play a major role in fostering an effective online learning environment (Lepper & Greene, 2015; Kyndt, Dochy, & Cascallar, 2011). Motivational teaching was practiced for a number of classes through encouraging weekly messages, prayers and personalized reports, positive feedback, and direct telephone communication. Currently, we are measuring the effectiveness of this approach through individual feedback from students such as the one previously mentioned. As a concluding remark, my colleagues and I have decided to research this aspect further in upcoming classes as we implement motivational learning in more creative ways and develop controls to measure the resulting effect on student performance. Our research questions are mainly focused on whether fear and anxiety from learning science and math hinder the student performance and whether the motivational/encouraging approach can alleviate this fear and improve the learning experience. It is important to note that this strategy does not eliminate constructive criticism to student performance; however, rewarding feedback can enhance our teaching strategies (Shin, Kim, & Lee, 2018). Chang, H. S. (2018). The role of anticipation in the relation between math anxiety and math performance. Dissertation Abstracts International , 78, 12-B. Kyndt, E., Dochy, F., & Cascallar, K. S. (2011). The direct and indirect effect of motivation for learning on students' approaches to learning through the perceptions of workload and task complexity . Higher Education Researhc & Development , 30(2), 135-150. Lepper, M. R., & Greene, D. (2015). The Hidden Costs of Rewards: New Perspectives on the Psychology of Human Motivation. Psychology Press, 8(7), 3-16. Rachel, P. G., & David, K. J. (2017). Avoiding math on rapid timescale: Emotional responsivity and anxious attention in math anxiety . Brain and Cognition, 118, 100-107. Shin, J., Kim, M.-S., & Lee, H. H.-Y. (2018). Effects of intrinsic motivation and informative feedback in service-learning on the development of college students' life purpose. Journal of Moral Education , 1-16. Effat Zeidan began her journey in science education and research at the American University of Beirut with a BSc in Chemistry, followed by her Doctorate degree in Nanoscience and Nanotechnology at the University of North Carolina. Her research resulted in the development of promising ultra-sensitive Nano diagnostic devices for early liver and kidney disease detection. In 2017, she began her professional career in distance education at California Baptist University, Online and Professional Studies. She is now an assistant professor of science and mathematics, and enjoys the opportunity to communicate science to a non-traditional online student community. Her focus is on improving the quality of online science and math education through the introduction of practical learning tools and motivational learning strategies.